Starting in Fall 2018, Yeshiva University’s Azrieli Graduate School of Jewish Education and Administration will offer two new fellowship opportunities — one to further the careers of graduate students, and another to help put undergraduates on the path to becoming educators. The Progressive Education Laboratory at Azrieli Graduate School (PELA) Chinuch Fellowship, a collaboration between Azrieli and the Kohelet Foundation, offers a fully funded master’s degree with a certificate in Constructivist Approaches to Jewish Education. The one-year program provides tuition remission and a $7,000 stipend. In addition to standard coursework, fellows will participate in seminars; school visits, including time at the Yeshiva Lab School and Kohelet High School in Philadelphia, Pennsylvania; and student teaching opportunities. A maximum of 10 fellows will be accepted to each cohort. Sharing its name with pela, the Hebrew word for “wonder,” the name is fitting for a program that offers a constructivist approach to education, which is founded on the philosophy that individuals learn best when they actively create (or construct) their own understanding, rather than by a standardized or rote method. The constructivist approach aims to engage students by developing individualized opportunities based on their specific intellectual interests and motivations. 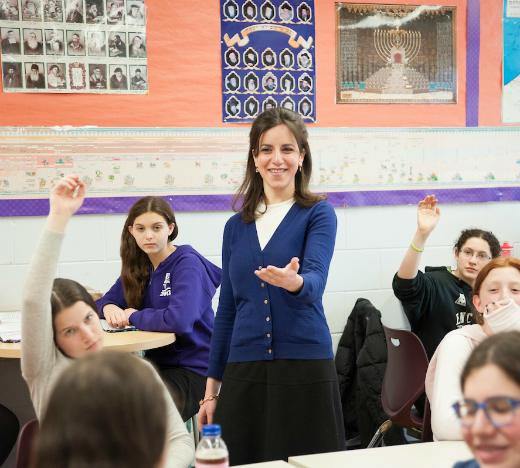 The program is offering juniors and seniors at Yeshiva College and Stern College for Women, especially those who may not have previously considered being teachers, a head start on their graduate work in education. The year-long fellowship includes an internship at a Jewish day school for five to 10 days between college semesters and again after the spring semester in May. Fellows will have the opportunity to work with Jewish educators in schools in the hosting community and will meet in groups with Azrieli faculty. The MafTeach cohort will be limited to 12; accepted fellows will receive up to three graduate course credits at full scholarship, an annual stipend of $700 and the costs for travel related to their school visits. PELA applications are due April 15. For more information, visit: https://www.yu.edu/index.php/azrieli/PELA or email azrieli@yu.edu. MafTeach applications are due April 30. Contact azrieli@yu.edu for more information. Is Education a Constitutional Right?